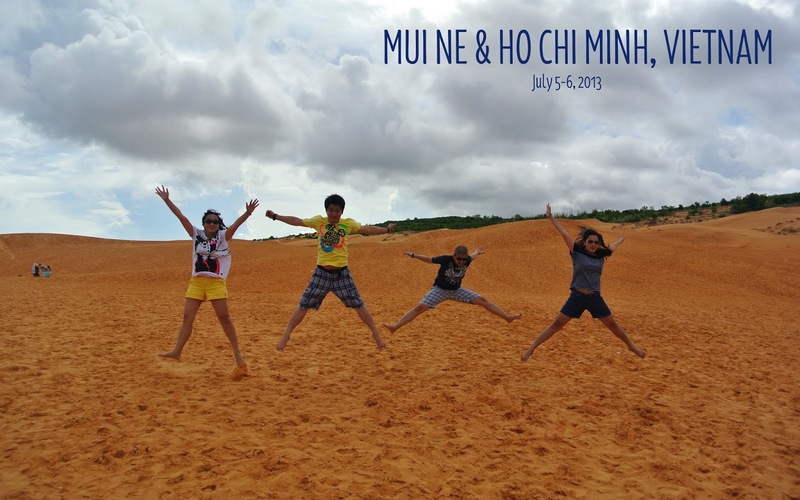 Because we wanted to see the sand dunes in Mui Ne, and because we wanted to wander and travel again, we decided to do a quick trip to Ho Chi Minh. There were initially more of us but the two M's had to cancel, leaving us housemates with the trip. So there we were on an impromptu Block 219 outing! 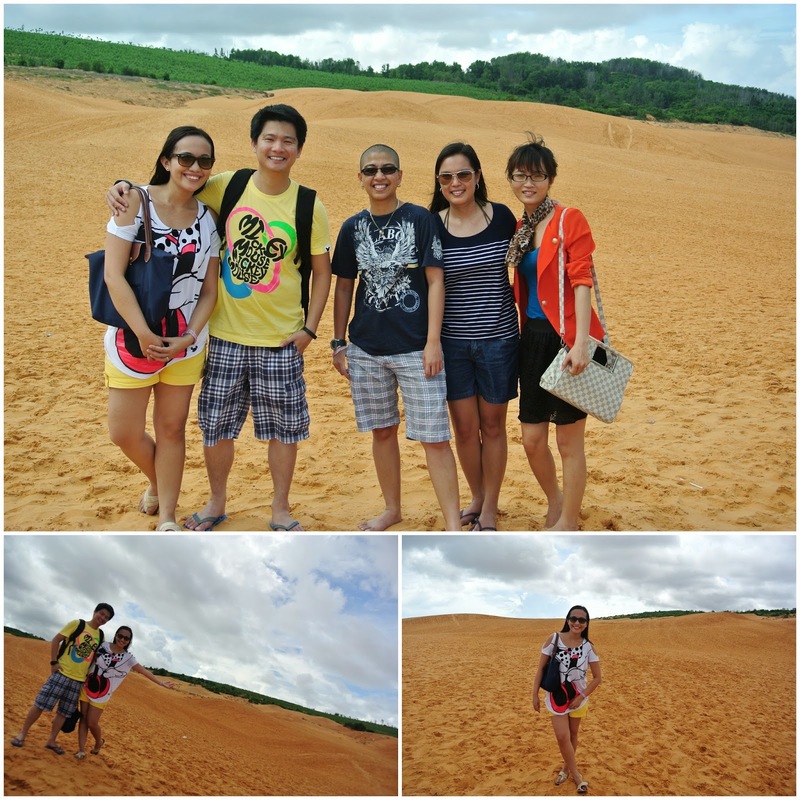 The first stop and probably the highight of the trip, Mui Ne Sand Dunes. We had to travel hours to get there, passing through rough road if I must add. Finally we had arrived and it was a one-of-a-kind sight. 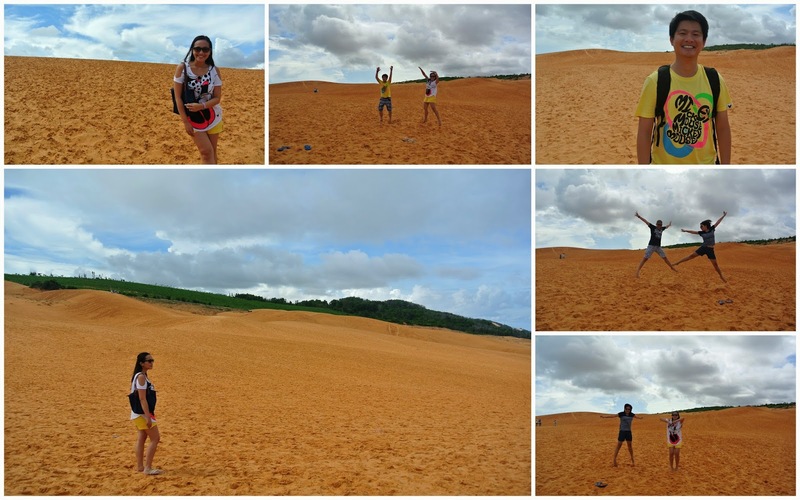 A sea of warm, powdery sand in the middle of nowhere! It certainly gave a "lost in the desert" feel. It was all things, including being picture-perfect. Since we were pressed for time, we didn't stay for long. I'm a bit of a scaredy-cat but what fun it would have been to ride an ATV or "slide" down the dunes! 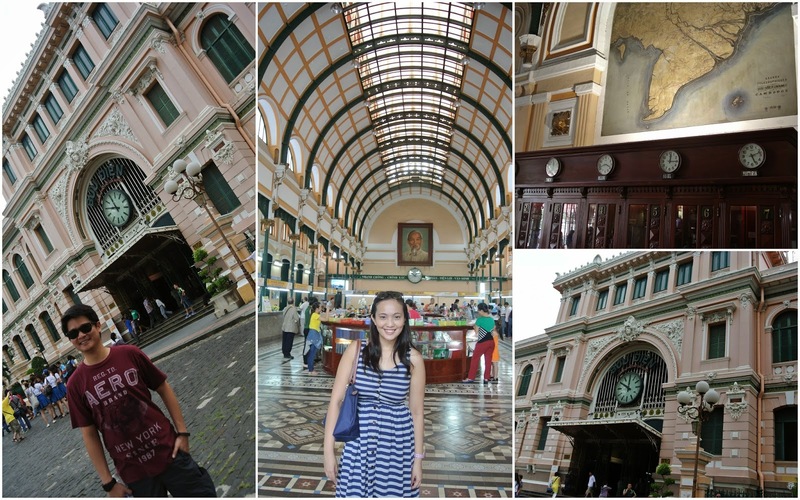 Next day was spent going around the city - Reunification Palace, Notre Dame Cathedral, Old Post Office and War Museum! 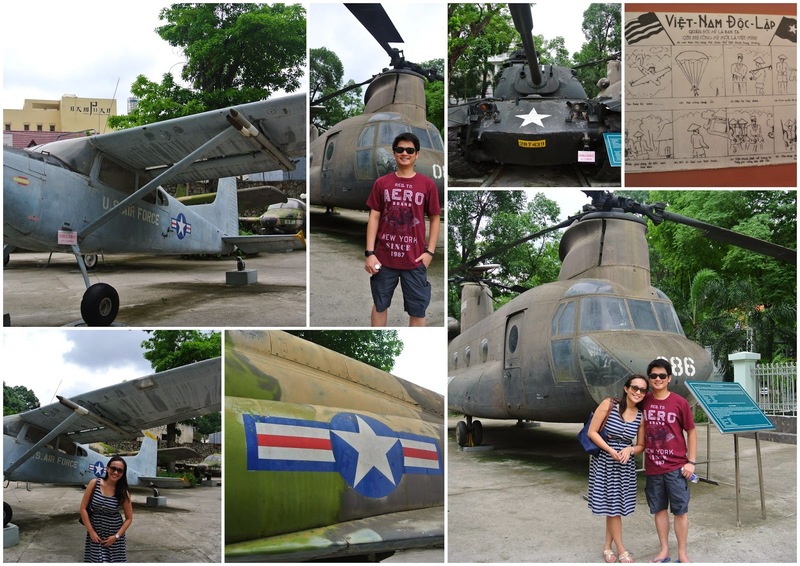 Each historical landmark speaks of something about Vietnam's past and gives you a glimpse of what the Vietnamese went through, and it deeply touches you and makes you appreciate how resilient they have been despite the horrors the country and its people had to endure. The Notre Dame Cathedral was amazing too - being a French colony before, it's not a surprise to have their own version of Notre Dame. The exterior reminds me of a smaller version of the Notre Dame Cathedral's facade in Paris. Probably one of the unique experiences I had in Ho Chi Minh was that the city is bustling with motorcycles and motorists. Seriously, like a huge band of motorcycles going your way. It scared and exhilarated me at the same time. We had to go around and run around the streets to get to the other side. 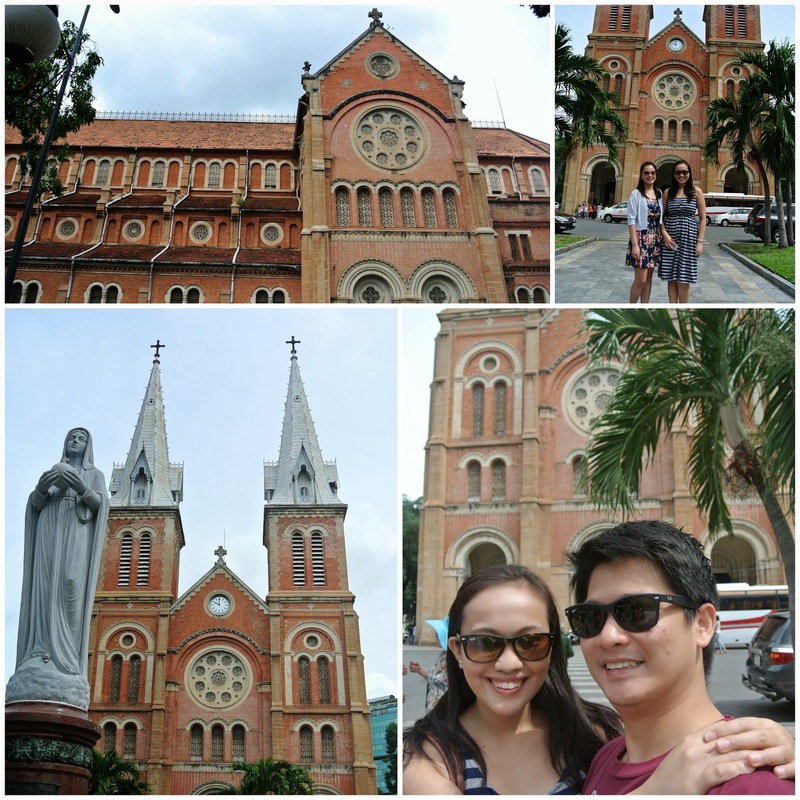 Running around the streets of Saigon, check! TIP: (Because I remember J telling me, you MUST blog this! That's something coming from my number 1 blog reader, haha!) 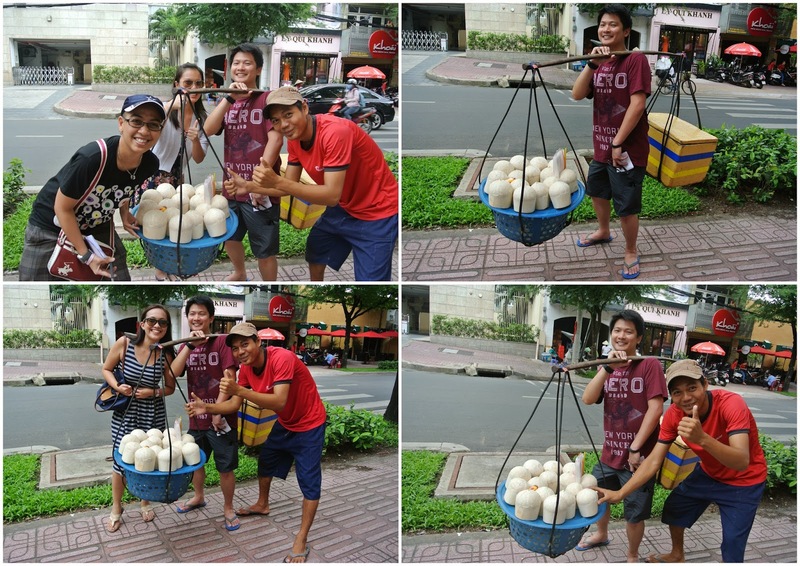 While walking around the streets in Vietnam, we saw a guy selling fresh coconuts, and he urged us to take a photo with him and of us carrying his products. Lo and behold, after all the heavy-lifting and when we passed back his load, he dropped it on the ground and quickly (as in like the superhero FLASH quick), cracked open two coconuts, offered it to us and asked us for payment. Well, I suppose having our photos taken with him has a price after all. Nothing much to complain, we got coconut juice in the end. :)) Aside from that, no more surprises ensued during our trip.